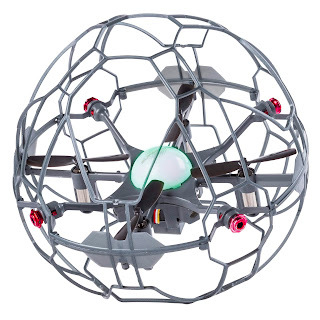 Walmart has the Air Hogs - Supernova, Gravity Defying Hand-Controlled Flying Orb on sale for $28.11, down from $38.88. Unleash the power of your hands with the Air Hogs Supernova! Only you can control this gravity-defying orb! Launch it, push it, spin it, using just your hands - no remote control or touching needed! Equipped with an intelligent on-board system and motion-sensitive lights and sensors, the Air Hogs Supernova responds to your every movement. 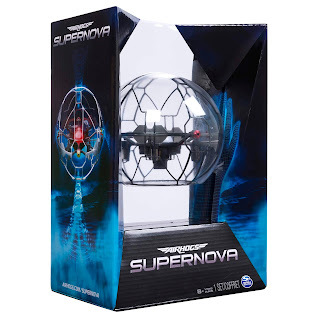 To activate, just toss to launch and Air Hogs Supernova will levitate mid-air, awaiting your command! Master 30 moves and 9 super tricks, ranging from simple to complex, and take control of your Air Hogs Supernova. Learn solo or pass back and forth with friends and see what amazing tricks you can pull off. Take on the Super Spin and send the Air Hogs Supernova spinning in a spiral between your hands, or try the Orbiter and make the Air Hogs Supernova fly in a circle around you!